Below are the Charity Providers selected for the 2019 Charity Home Tour. 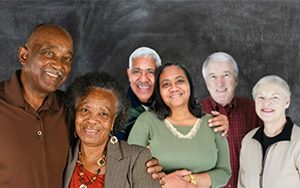 The Adult Care Center of Central Virginia is licensed by the Virginia Department of Social Services. They provide a broad therapeutic program of daytime activities to frail adults while giving their caregivers a break from their full-time responsibilities and/or makes it possible for working caregivers to go to work knowing their loved ones are well cared for and safe. They also provide free public education for the community, fee assistance to families needing services, but can’t afford them and are known in the community as a resource for professional care and support. The Agape Center Inc. is a God-directed outreach ministry. They provide many services including food, clothing and household needs along with financial assistance for emergency needs, such as funds for utility bills, rent and medical needs. Agape also provides emotional support through its mentoring program and offers a course to help their clients get out of poverty. The Bedford Pregnancy Center cares for women in pregnancy related situations by meeting their physical, emotional and spiritual needs. They offer free and accurate pregnancy tests with immediate results, information and educational resources, prenatal referrals, support throughout the pregnancy, postpartum and post-abortion counseling and an Earn While You Learn curriculum and Baby Boutique providing items through size 2T. These programs empower their clients to be the best parents possible. The Disability Rights and Resource Center Inc. provides advocacy assistance, peer counseling, support groups, workshops, independent living skills training and middle to high school to post graduation transition services for individuals with disabilities. 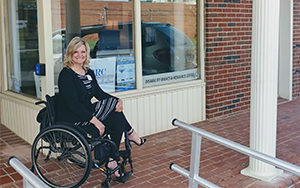 They also provide information for assistive devices, accessibility, and legislation along with referrals to local service providers to become or remain independent in the community. The Faith Network was formed in July 2017 to serve people experiencing homelessness in Franklin County. They assign each individual or family a mentor who works with them for a 3-6 month period. Mentors provide support as the mentee strives to complete goals on their service plan. 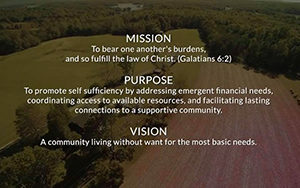 The Faith Network promotes self-sufficiency by addressing emergent financial needs, coordinates access to available resources, and facilitates lasting connections to a supportive community. 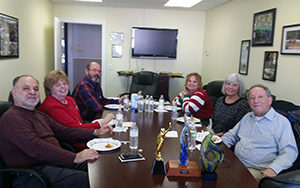 As a charitable, volunteer-driven, community-based organization, the Franklin County Family YMCA derives its strength from its community roots and strong volunteers. 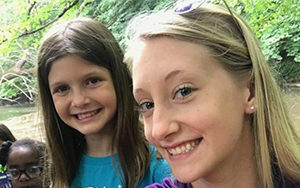 Whether it’s through their second grade safe swim program, Parkinson relief program, summer camp, Arthritis relief class, preschool or youth mentoring, the Y provides opportunities that improve the community’s health and well-being, activities that bring families closer together and programs that empower young people to find success. 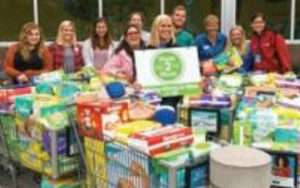 Helping Hands of Franklin County’s mission is to provide financial assistance to help the emergency needs of the citizens of Franklin County. Typical emergency needs include electric bill termination or overdue notices, rent or mortgage issues, heating fuel, prescription medication and other emergency needs. In addition to emergency financial assistance we provide budget counseling to our clients and referrals to other appropriate agencies. 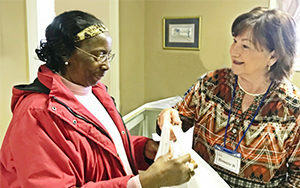 Our volunteers provide this assistance with care and dignity to each of our clients. 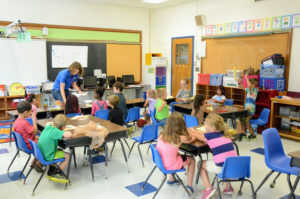 Smith Mountain Lake Good Neighbors provide out-of school programs for rising 1st-8th grade students. They offer a 4-week summer enrichment program focusing on reading, writing, communications, math, science, art and physical education. The middle school children also participate in team building activities, nutritional support and fieldtrips to help them succeed in high school. Also, they have a weekend backpack program and an afterschool program to help with homework and provide enrichment activities.